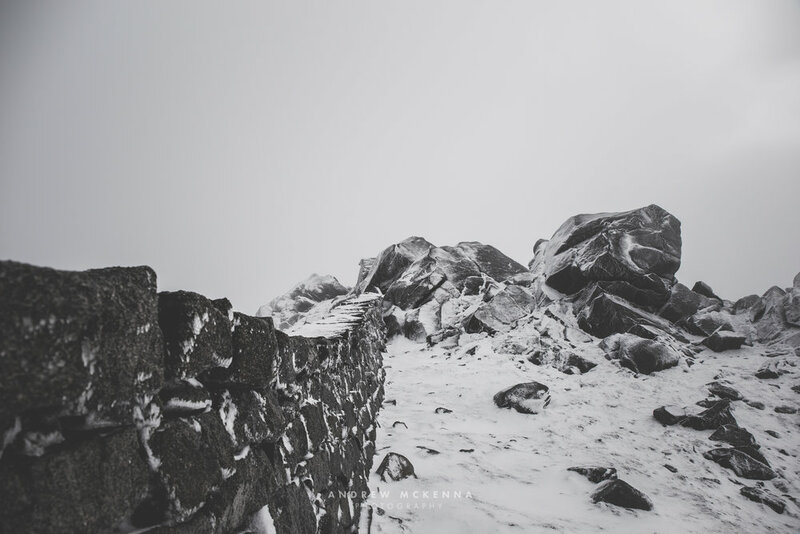 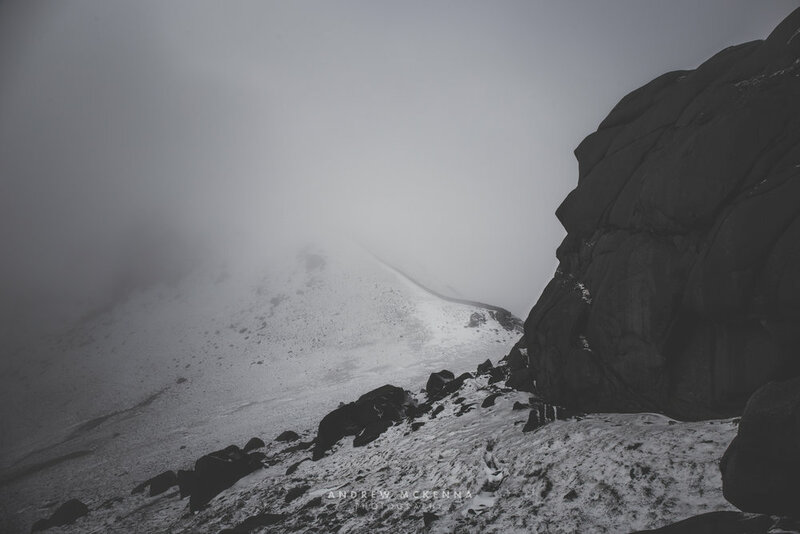 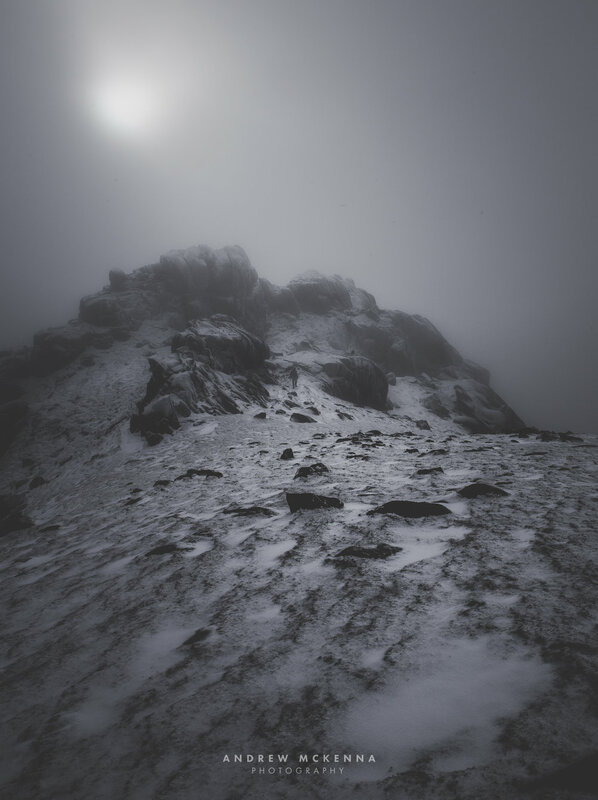 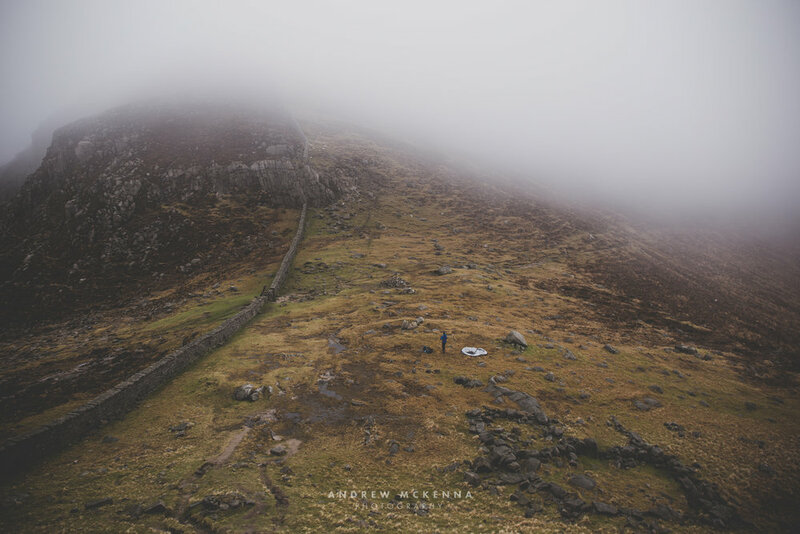 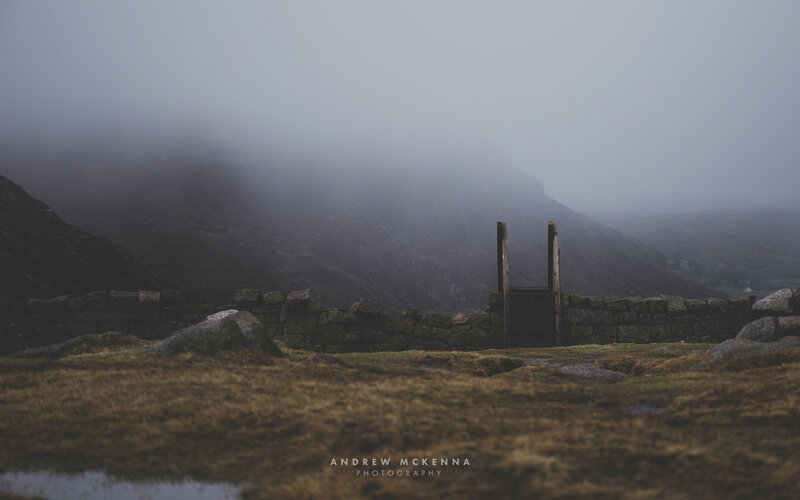 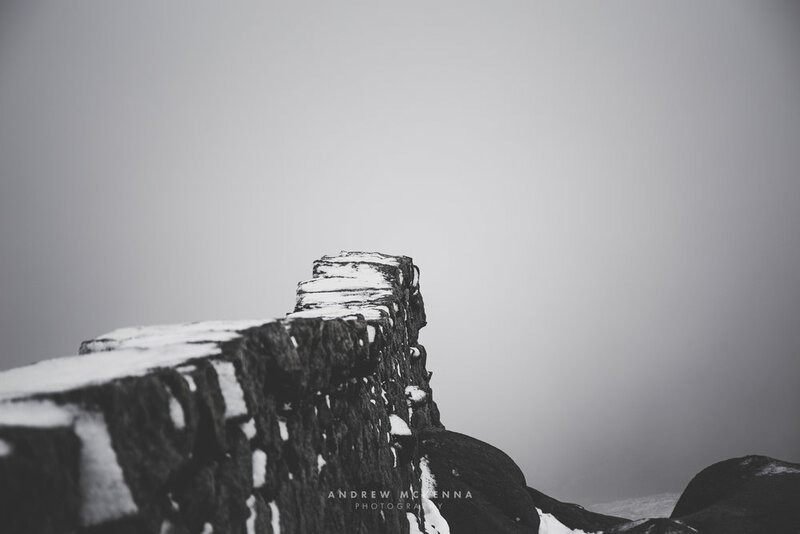 In between editing engagement shoot photo's, food photography and preparing for my busy wedding season I got the chance to head up into the Mournes again. 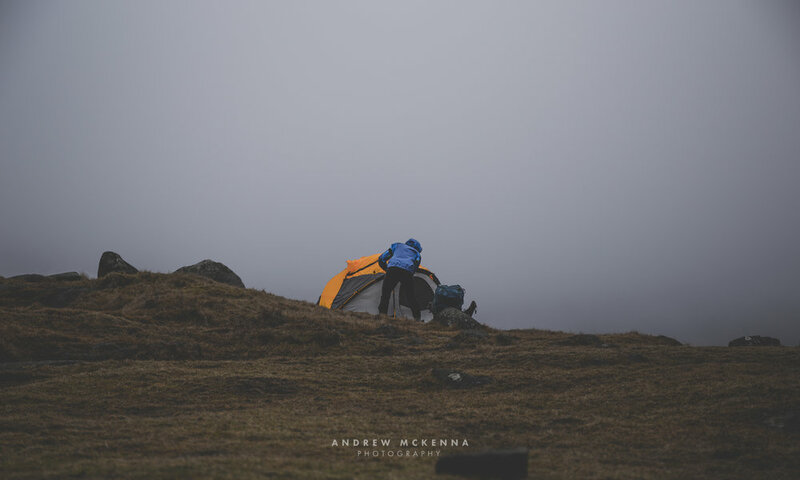 This time we decided to go up Slieve Bearnagh the 4th highest mountain in the range. 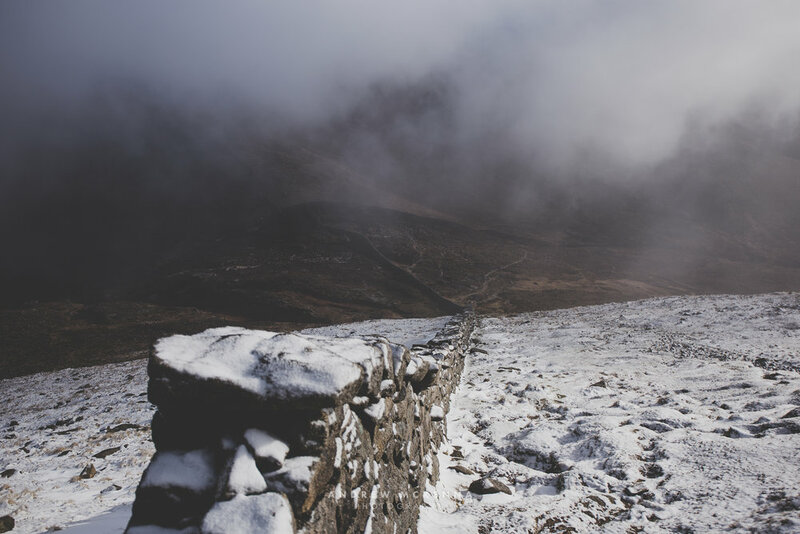 Snow wind and icy conditions made for a great hike.